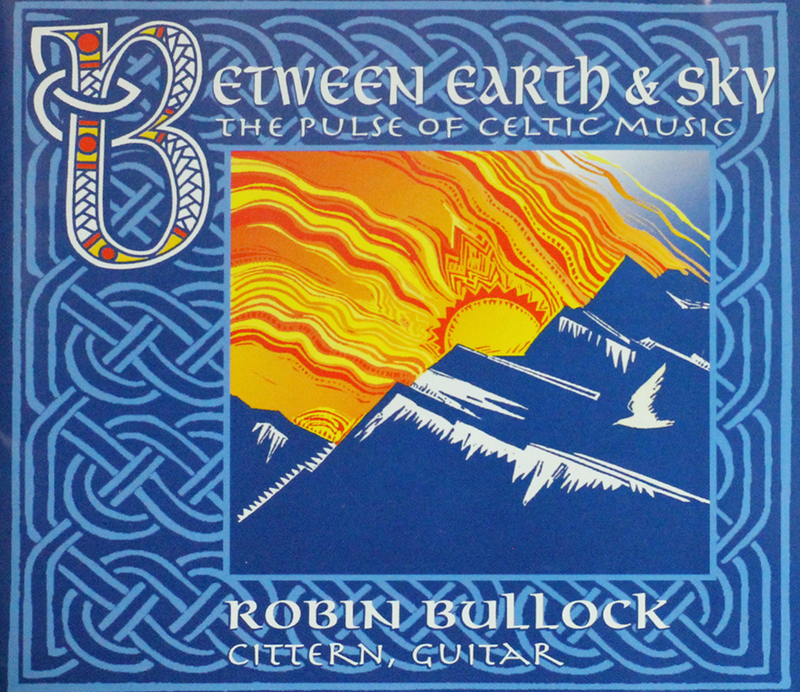 Winner of the 1998 Washington Area Music Association WAMMIE Award for Folk/Traditional Recording of the Year, this masterful CD blends melodies from Ireland, Scotland and Brittany with Robin's powerful and haunting original compositions. Guest artists include All-Ireland champions Joanie Madden (flute/whistle) and John Whelan (button accordion), dobro legend Mike Auldridge, Bruce Hornsby reedman Bobby Read and West African percussionist Laryea Addy. Traditional music has always been and continues to be a living and evolving process. It reflects the lives and experiences not only of generations long past but we who live here on the cusp of the millennium. While my own artistic path is grounded in the music of the Celtic lands, I also recognize that music speaks the truth regardless of geographic origin, transcending cultural differences and reminding us that we are all one. This music, then, is an American Celtic celebration, joyously drawing inspiration from many traditions, honoring ancient roots and reaching out to greet the future. The first tune, a wild exploration of shifting rhythms, is the musical equivalent of a downhill run on an expert-level “black diamond” ski slope. The second is the popular Irish reel “The Star of Munster”transmuted into a more typically Eastern European meter of 7/8. The heart of traditional Irish music is the “session” where musicians gather informally in a living room or a pub and play tunes together for the sheer joy of community. We set out to capture that feel on this set of jigs from the O’Neill Collection. The crack was mighty, as they say. Two compositions by harper Turlough O’Carolan (1670-1738), the great Irish bard and a hero to all of us modern-day Celts roaming the world. My cittern was built in 1987 by the esteemed English luthier Stefan Sobell at his workshop in the English countryside of Northumberland. While on a U.K. tour ten years later, I finally met Stefan and his remarkable wife Liz, and wrote this tune to celebrate the meeting. A pair of original reels named for wonderfully relaxing places (although you might not guess it from Laryea’s powerful drumming! ): a park north of Baltimore, Maryland and a guesthouse in Devon, England. A new march for the Scottish highland bagpipes, named in honor of California piper Eric Rigler. (After composing it I remembered that I don’t play the bagpipes so I offer it to you on guitar instead.) The guitar romp that follows is named after an old canine friend. The air to a lyric written by Scotland’s national poet Robert Burns, performed here by the Wolf Boy Multi-Track Celtic Philharmonic. Favorite tunes from the Appalachian and Irish traditions, respectively, with a perverse coupling of titles. The first is also known as “Rye Whiskey” and “Drunkard’s Hiccups”; the second, well, where the human imagination goes with that title, I bow to modesty. Another transatlantic medley: “Johnny Don’t Get Drunk” appears to be an Appalachian variant of the Irish reel “Miss Monaghan,” with the sections reversed. Although these have long been two of my favorite traditional tunes, I never noticed their obvious similarity until I paired them for this recording! Another Carolan composition, the title of which seems oddly mismatched to the beauty of the melody. We can only assume there’s a good story there. A visit from the Muse inspired by hawks in the Arizona desert. For all beings seeking a balance between fiery creative action and the passive waiting silence from which all springs. Sweet dreams.